I hope you all survived the recent heat wave. I am attaching the July issue of Sparks from the Spa Newsletter. It has the results of the June club elections, and also a summary of our Field Day efforts. I am also attaching the flyer for our 33rd annual hamfest. 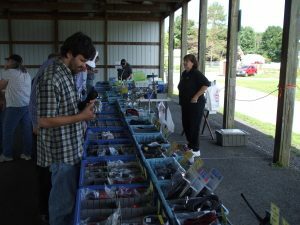 It is being held on Sunday, Sept 9 at the fairgrounds in Ballston Spa. Please forward the flyer to all your friends. Finally, as you most likely know, July and August are dark months for the club meetings. Please do not show up for the regular monthly club meetings. 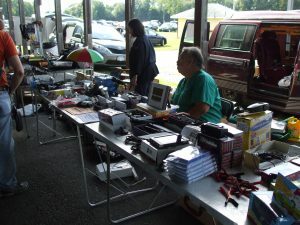 Our next regular meeting is the day after the hamfest, Monday, Sept 10. Be sure you come to the hamfest, there will be a test later!! 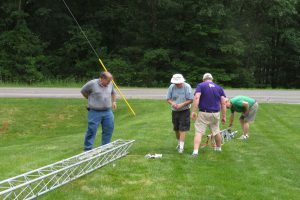 Help Needed For SCARA HamFest Sept 9! At the April meeting, 12 generous attendees signed up to help with our Hamfest on September 9. I really appreciate those offers to help, but to make the Hamfest a success, we’ll need some more folks – both before and during the event. It will take all of us! Let’s divide the work into functional teams, so all bases get covered and nobody gets overloaded. I am contacting those first 12 volunteers separately to ask them to pick a Team/Function that they are willing to help with. And I’m asking everyone else receiving this message to respond and let us know how you’d like to help. Feel free to sign on to both a pre-hamfest team AND a team during the fest. It’s going to take all of us to make this 33rd annual hamfest great. I have sent emails to 106 potential vendors asking them to either attend or to donate to our raffles. We need to follow up by telephone with the most likely prospects. Many will again say yes.